As I was getting ready to leave I managed to slice my finger on a blade as I was getting something out of a cupboard. Not a good omen. I am hoping that I am not the only one who remembers bad parts of runs in minute detail? Once we arrived and parked (on the verge of a road) we made our way down to the start which was quite a walk. All I could think about was how it was all down hill which meant that we would be running up it, twice. It was one of those hills that I had given up on previously. One thing in my favour was that I was lucky enough to have the lovely company of my brother. He is a lot faster than me normally but he very kindly decided to run with me. This was so awesome of him. He is completely mad (like me?) and so was very entertaining. He also had loads of stories to tell me about running the super challenging marathons that he runs and would like to run. This all passed the time well. About a mile in 2 St John’s ambulance men passed us on their bikes. I will go and get a plaster for you he said as he sped up to catch them. They were lovely but it did seem to take quite a long time to get a plaster on my finger (about 2 minutes) and all the time I was standing still people were streaming past. I began to think that we would be so far behind everyone else they would all have gone home. Of course they hadn’t in reality. The good thing about it was that once we started up again we were actually overtaking a lot of people as their pace was that much slower than ours. I also hadn’t realised that there are some people who set off with the idea of walking up all the hills, right from the start and not just when they can no longer face is as I usually do. This made me feel a bit better as I knew I was strong enough to tackle most of the hills. It was quite a hot day and there were water stations every 3 miles which we took advantage of. Early on the miles ticked by nicely. I was still quite stressed as I was waiting for everything to come crashing down, specifically I was waiting for particular areas in the race to come up and bite me. 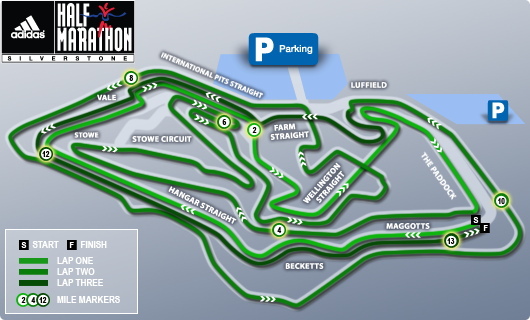 The race consists of one long loop of about 13 miles and then one shorter route. I knew that I could get around the first bit Ok. It is the second loop where I have trouble. As we approached the end of the first route I kept telling myself that it will all be fine. I am strong…..Eventually I passed the first hurdle, and then the next. I am not saying that it was easy but I was still running. I was determined to get further along this year before stopping. I wanted a PB. As we entered the part of the race where I had never before managed without walking I began to dare to think that I could do it although I was getting a bit tired now. My brother kept singing you can do it, you can do it…. (from the film and reminded me to pick my feet up, all of which helped. 7 miles to go was the worst bit as it is still another hour of running to go and I was also beginning to tire. My mind began to play nasty tricks on me. As we got down to 6, then 5 I began to wonder if I was going to make it. I knew that there were some killer hills in the miles 16-18 and kept thinking that if I could get through these I would be OK. My family had come to support me and kept trying to ring me….I had no energy to answer their calls in this race but at mile 19 did manage to pull my phone out. I had not stopped yet…..
No medals for this race but a hoodie is the reward. A different colour and design every year. This is my favourite yet. The gamble had paid off. I am now in a really good place for the London Marathon but for now…..TAPER time. This entry was posted in Running races and tagged marathon training, Oakley 20 on April 6, 2016 by knitnrun4sanity. I have to admit – I was not looking forward to this race at all. The only positive thing that I had heard was from my brother who had said that the medal was great. The reports from everyone else was not good – it is running around a field in the middle of nowhere and therefore windy. Had I been a Formula one racing car fan then maybe it would be different as the race takes place on the race track. Unfortunately I am not a fan! I then found out that the start time was midday. MIDDAY? I ask you. Oh and you had to get there at 10.30 which means leaving home about 8. This race would take all day and how was I meant to fuel my run? Breakfast would be early. As the race started, I would be ready for lunch . Yuck. This gives some idea as to the course. It looped around a lot which was nice as you felt involved with the race – you could hear the announcements over much of the course so was able to hear when people got a course record. There was also music for much of it. On the other hand there were not a lot of areas where supporters could get to so there were areas that were quiet although I found that I always had a lot of people running near me. The course itself was nice and wide so no bottlenecks. It was also relatively flat. Towards the end I did feel as if I had been here, done this before and was ready for it to finish but by then I was tiring. I got another PB of 2 hours and 49 secs. How pleased am I? At the beginning I felt as if I was going out too fast but found it very hard to slow it down much. At the start we were split into 2 groups over 2 hours and sub 2 hours. I went in the over 2 hours but this meant that I was going faster than most of the people around me. This felt good so, in the end I just kept going. The Lucozade drinks that were provided made me wheezy but no doubt kept me going. I had nothing left at the end which was good as I know that I couldn’t have managed a sub 2 hours…..this time. Getting out of the car park at the end was a nightmare…..but who cares? I got a PB! This entry was posted in Running races and tagged half marathon, PB, Silverstone on March 20, 2016 by knitnrun4sanity. Today I have been pondering the best way to trick my brain. 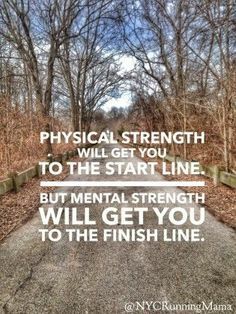 I think that it is a well known fact that running is probably 50% mental and 50% fitness (actual numbers may not be accurate but you get my meaning!). I generally find that when I am really dreading a run it goes far better than I expect yet when I am really looking forward to one it can be a real struggle. A while ago I wrote how I managed to trick my brain into running for 90 minutes by breaking it down into two lots of 40 minutes (yes I know and a bit). This weekend I have 12 miles to do. As I was biking home I was pondering whether to split that into two 6 mile loops. I normally hate doing loops as there is that awful dread that you have to do it all over again, every hill, the windy bit etc, etc, etc. I also like the feeling of running a distance; “I ran here!” It feels like an achievement. Maybe I should run 6 miles out and 6 miles back? But that feels a bit like the loop except I wouldn’t have to run past my house which, let’s be honest, can only be a good thing. The other way of looking at it is by breaking it into chunks as I did before. It will take me about 2 hours. That means two lots of 1hour (yuck!) or 4 lots of 30 minutes. I am not sure I fancy either of those options! Normally when I run a longer distance I split it up into 3 mile chunks or 5k’s. This is about 30 minutes in length but I don’t think like that. 3 miles is easily doable. A 30 minute run is almost not worth going out for (anymore!). It is an easy(ish) run to do. Maybe this is the way to go? 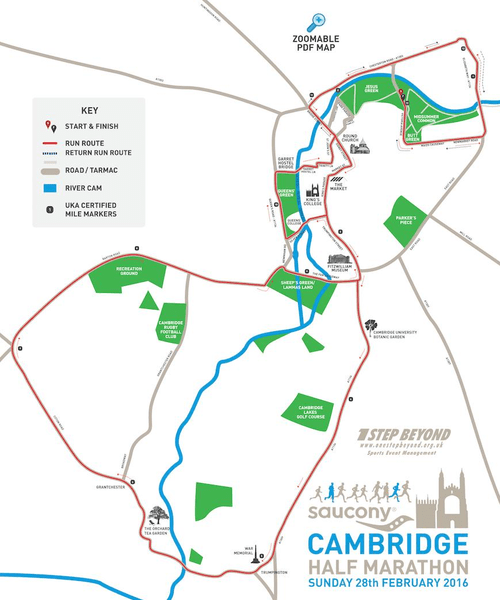 The trouble with this is that I still have to work out the route I am going to run. This strategy works best during races when I am beginning to struggle. If I used that tomorrow I would be thinking 4 lots of 3 miles….. Nope that will not get me round. I was hoping that writing this would help me to find a solution. Unfortunately this hasn’t worked at all. Do any of you have any ideas? What would you do? 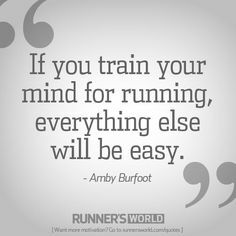 This entry was posted in Running races and tagged brain games, Long runs, marathon training on February 5, 2016 by knitnrun4sanity.